Heather, the owner contacted me and asked if I would like to write a review or possibly host a giveaway to help promote her business, and we decided to do both. Please take a minute or two to read the first product review by WTF. Details of the the Giveaway are below the review. Shamrock Soaps is a line of body products locally made in Wisconsin. With a line for Irish Dancers, and products for their support teams (aka us), I took it upon myself to review one of each. You can find the site at Shamrock Soaps and can purchase on line at Shamrock Soaps on Etsy. They are also on Facebook at Shamrock Soaps. I have always had an issue with dry skin on my feet, so bad, I am sad to admit, they could be on one of those infommercials. They can get so dry and cracked, it hurts to walk. When Heather offered me the chance to try a product, and I saw she had something for dry feet, I figured, what the heck. I have tried lots of other options, lotions, creams and butters. They are messy to apply and make me slide around in my socks. I never stick to a program with those products even though I know I should. I’m still a guy, remember. So, honestly, I did not know what to expect when I said I would try the foot balm. I was very pleasantly surprised. The foot balm comes in a tube, kind of like a pushpop, and is very easy to apply. Rubbed a little into my heels, put on some socks and went to bed. The next morning I saw a noticeable improvement. After a few days, my heels looked like normal people feet, and I have used the balm every day since. I can honestly say my feet have not felt or looked this good for a very long time. The instructions say use at night, but since I really don’t like sleeping in socks, I put it on my feet after my morning shower, don the socks, and head off for my day. If there was any negative, it would be the fragrance. Let me try that again, the fragrance is fine, for a woman, or a girl, but when your 6’5″ and built like an ex football player, you probably should not smell like flowers. I think it is Lavender, but that’s a guy guess. Obviously I didn’t mind and am secure enough with my masculinity to have used it everyday for nearly two weeks. Actually the smell is relaxing, but would probably not fit most mens grooming routines. And speaking of beer soap, how could I not try something made with Irish Stout. Great soap, lathers really well and has a nice smell which is described as hoppy on the website. Not sure I would say hoppy, as that makes me think of an IPA, but it is a very nice, natural scent. Not at all like beer, so you don’t need to worry about smelling like a six-pack when you get to work. The site also recommends using it as a shampoo, which I did not try, sorry. It did not dry out my skin like some soaps. Any negative would be it only lasted two weeks, but thinking about that a little more, I have never judged long how long a bar of soap lasts, so maybe that is normal. I would give it 4.5 out of 5 stars. You can see the product at the Shamrock Soaps Etsy shop at Irish Stout Beer Soap. 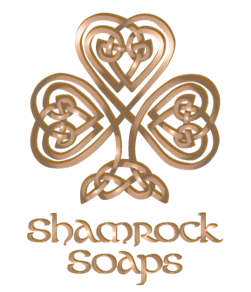 Shamrock Soaps will be giving three lucky people the product of their choice and free shipping for that product. To see the products, visit the website and the online shop. To enter, simply add your name, email and a short comment in the comment section below (emails will not be displayed and will be used ONLY for the purposes of this giveaway). Entries will be accepted until midnight on October 31st, 2014 and the winners will be chosen at random on November 1st from the comments on this post. Entrants must also either LIKE the Shamrock Soaps Facebook page OR sign up for the Shamrock Soaps newsletter on the sites homepage to be eligible to win. Great ideas to pamper your dancer – looking for the holidays! The foot balm sounds awesome! My dancing daughter could definitely use something to make her feet smell like flowers! The foot balm sounds awesome! The lip balm sounds delicious! And it’s handmade! Where has this been all of my dancers life?! Sounds like perfect stocking stuffers for the WHOLE family! Thank you! Anything that makes dancer feet look like normal feet must be grand. Interesting and useful gifts. 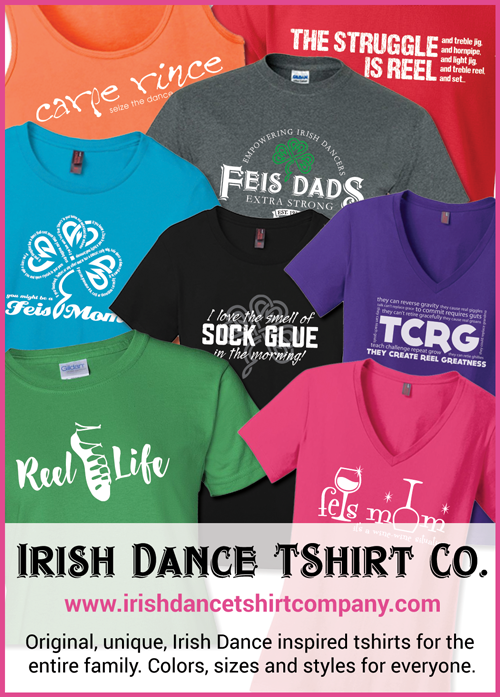 Great stocking stuffers , especially for my irish dancer. i could really use the foot balm! I have an Irish dancer who would love to try these products!!! As a member of the non-profit, New World Celts and the parent of an Irish dancer, we are always looking for new products to promote and or use as raffles at our meetings so can’t wait to check the website out and maybe try a few products. I would love to try the foot cream! Thanks for the review! I’m so pleased to see that the foot balm is working for you. It does take some dedication and patience. The fragrance of the Kick Your Bum Foot Balm is called ‘heather and hyacinth’, so it is pretty floral. I also carry the same product in strawberry, lavender and vetyver (though not branded as Irish dance products). Vetyver is the most masculine scent of the bunch. It is a grass that grows in India that is generally described as musky. It is one of my favorites and I make a soap that matches it which my husband uses to shave with. Handmade soap generally does last about 2 weeks when used in the shower. It’s shelf life can be extended by keeping in dry between uses. It is best kept on a soap dish that allows water to drain away from the bar (a soap dish with holes). As a newcomer to Irish dance and in my quest to discover “things” Irish, I stumbled upon the Shamrock soap website, a few months ago. I am so happy I did. Since then, I had the pleasure of becoming acquainted with a few of the products. It all started with the Lavender Foot and Body balm. I keep this one on my night stand, as reminder to take care of my feet. Then the Irish sea glycerin soap came with its exotic cousin vetveyer. Both really nice selections. And then there was the honey and lavender soap. It was such a pretty looking soap. Finally, I ordered the beer soap. I gave two as gifts. The fragrance is subtle and nice. I know when I use Heather’s products that they are made with care and are healthy for the skin. I feel special when use these products.